Thank you for visiting BitcoinNews.com. We respect your concerns about privacy and attempt to address any questions you might have regarding the use of our Website and how it may affect you. All your information is subject to the following privacy policies as long as you are on our site. 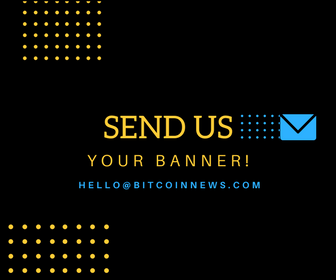 BitcoinNews does not collect personal information about you when you visit our website(s) or use our applications unless you volunteer to provide that information to us. If you visit our Website to just browse, read pages or download information without registering for any of our services, we automatically gather and store certain information about your visit which does not identify you personally. The information gathered automatically include the type of browser, operating system, domain name of your internet service provider, date and time of your visit and the pages you visit. The collected non-personally identifiable information is sometimes used to improve our website design and content to give a better browsing experience. The Website collects personal information from you only when you provide it voluntarily. The type of personally identifiable information collected may include name, address, email address, information about your interests in and use of various services or questions regarding products and services. Any personal information provided on our website will not be given or sold to any private organizations or persons. Our Website sometimes contain links to other websites whose privacy policies may be different from ours. Visitors should consult the other sites’ privacy notices as BitcoinNews doesn’t have any control over information that is submitted to or collected by these third parties. In the course of serving advertisements, third party advertisers may place or recognize unique cookies on your browser and may use the information (not including your name, address, email) about your visits to this and other websites in order to provide advertisements about goods and services of interest to you. The Website contains links to other websites across the internet. The privacy policies of these sites are beyond our control. Once you leave BitcoinNews.com, use of any information you provide is governed by the privacy policies of the operator of the site you are visiting. BitcoinNews.com fully complies with the rules under the new GDPR (General Data Protection Regulation). How we handle European citizen’s information is regulated by the Information Commissioner’s Office.